Comfortable, Furnished Rental for 3 to 6 months (weekly rates also considered) : Accommodation in Pretty Forest Surrounds in Gated Estate "
Suitable for A Single Professional or Couple Only with No Pets. Very Comfortable Flatlet in pretty garden and forest surrounds. Boma & Outdoor Entertaining areas. Wonderful walking and cycling trails. 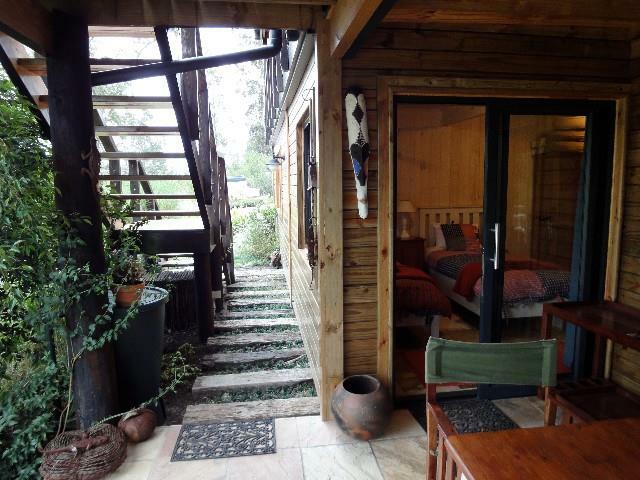 12 km from Knysna Central and close to the Rheenendal Restaurants, Buffels Bay and Brenton on Sea.